Teeth serve two functions: chewing and smiling, and our goal is to help you do both beautifully and comfortably. As a dentist in McLean, VA, our mission is to help your teeth function and look their best, giving you a lifetime of comfortable chewing and the beautiful, confident smile you deserve. We’re here to help you achieve your goals, and that involves collaboration. Every diagnosis is followed by a discussion of your treatment choices. At our patient-centered practice, we treat you the way we like to be treated — with respect, compassion and the highest standard of care. Our cosmetic dentists offer a safe, effective bleaching system that provides optimal results — and it’s custom-made just for you! Do you want to find a reputable cosmetic dentist to enhance your smile? Are you in search of a qualified McLean orthodontist to straighten your teeth? You’ve come to the right place. At McLean DDS, our team is passionate about providing our patients with the treatments they need to enjoy a lifetime of healthy, beautiful teeth. We specialize in general dentistry, cosmetic dentistry, dentistry for children, and orthodontics — all under one roof. Whether you need to schedule a checkup and cleaning or your teen needs to see an orthodontist in McLean, VA for braces, our team is equipped to help you and your family with all of your dental needs. We welcome patients of all ages, from your child’s first cleaning to the specialized care of our senior patients. We tailor our comprehensive list of dental services to your unique dental needs. Some of the procedures we provide regularly include teeth whitening, porcelain veneers, Invisalign, implant restorations and pediatric services. The first step to starting dental treatment is to schedule an appointment with our office. During your initial visit, our dentist will conduct a thorough exam of your teeth and gums. We will meet with you to review your oral health, and discuss treatment options based on your dental needs and goals for treatment. Together, we can determine the option that best fits your dental needs, desires and budget. At the end of the day, our number one objective is to help each of our patients realize their best dental health through high-quality dental treatment provided by our expert, caring team. 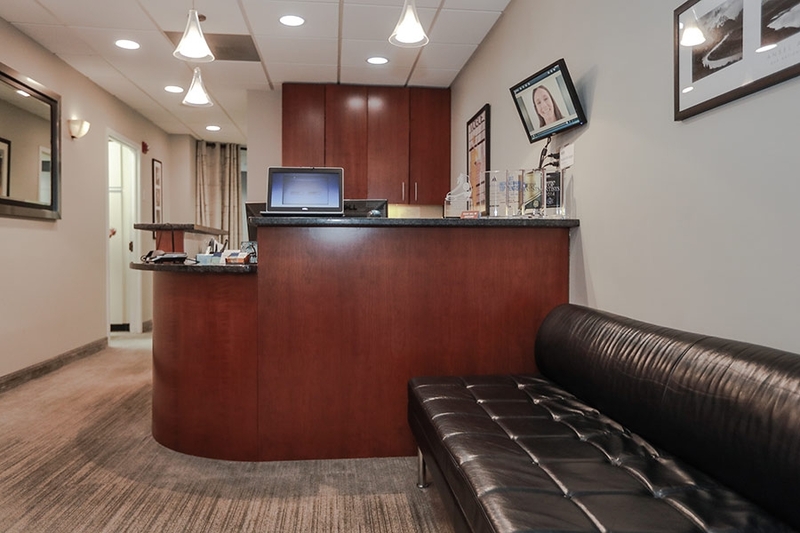 At McLean DDS, our office is designed with our patients in mind. Our dentists are here to provide superior dental care in a comfortable, inviting atmosphere where you can feel safe and relaxed. 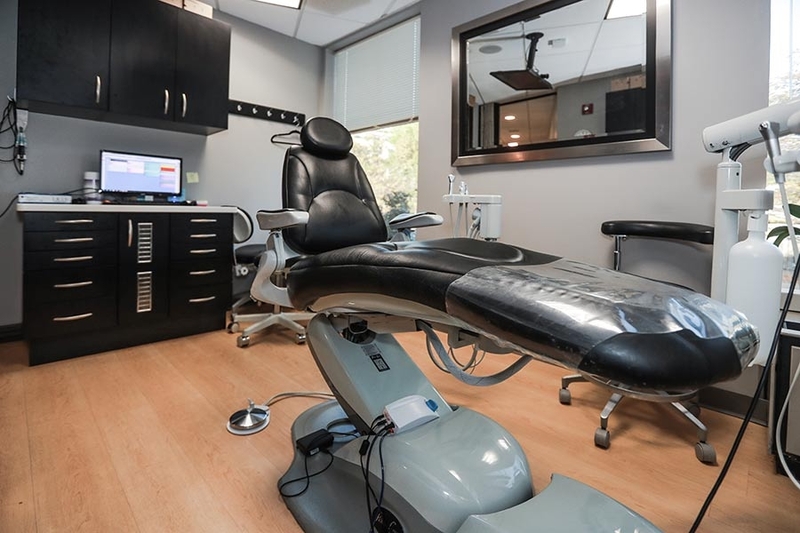 One way we create a tranquil environment is by utilizing state-of-the-art equipment and the latest in dental technology. This helps shorten appointment time and makes treatment more efficient, effective and gentle for our patients. With our sophisticated technology, we can detect potential dental problems earlier and provide the most conservative treatment. When you enter our office, you will be greeted by our friendly team and inviting waiting area. Our updated treatment areas feature many comfort-enhancing amenities such as headphones and televisions to make each visit an enjoyable one. Your experience is important to us, so we go to great lengths to help you and your family have a positive experience in our office. Our team is especially mindful of your children’s experiences when they visit our office. When children feel comfortable in the dental chair, it can lead to a lifetime of good oral health and vibrant smiles. Our dentists specialize in the unique dental needs of kids, and strive to help our youngest patients have fun at our office. If you have questions about our practice, we invite you to schedule an appointment with McLean DDS to tour our office and get acquainted with our McLean dentists and team. Our office is conveniently located in the heart of McLean, and we treat patients throughout the greater Washington D.C. area.